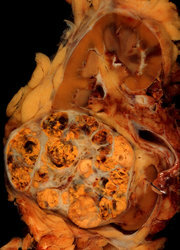 The incidence of kidney cancer in the US has increased in recent years. Most kidney cancers are renal cell carcinomas. The risk factors for this type of cancer are poorly understood, but may include obesity, smoking, alcohol intake, hypertension, use of hormone replacement therapy, and high intakes of meat, protein, and coffee. This report describes the relationship between dietary and other factors and the risk of renal cell carcinoma in the Iowa Women's Health Study, a prospective study of US women that began in 1986. Dietary data for this study were collected using a 127-item food frequency questionnaire. During eight years of follow-up of 35,192 postmenopausal, predominantly white women, 62 cases of renal cell carcinoma were diagnosed. Risk factors for renal cell carcinoma included increasing age, increasing weight, greater waist-to-hip ratio, and a history of blood transfusion. The only dietary factor that was predictive of the development of renal cell carcinoma was total dietary calcium, which was inversely associated with cancer risk. This study, which is the largest reported cohort study of renal cell carcinoma among women, is the first to identify calcium intake as a possible protective factor. 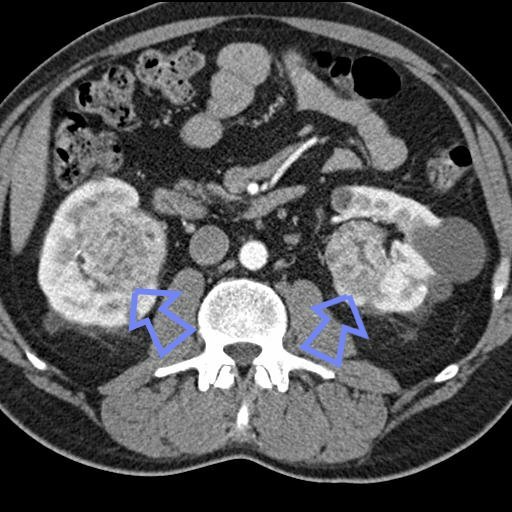 The findings confirm other evidence indicating that obesity is a risk factor for renal cell carcinoma. Several other risk factors suggested by previous studies, including smoking, alcohol, meat intake, and coffee drinking, were not confirmed in this study population.